Pat Gallagher is currently is a management consultant, author, public speaker, and considered a marketing expert in the sports, entertainment and special events industry. Gallagher most recently served as Executive Vice President/Marketing, Partnerships and Communications for the Super Bowl 50 Host Committee. Super Bowl 50 was held in the Bay Area in February 2016. He co-authored a book with colleague Stephanie Martin entitled: Big Game. Bigger Impact, which chronicles the making of the milestone Super Bowl 50 from the Host Committee perspective, which has been heralded by stakeholders and league officials as the most successful Super Bowl to date. Pat is best known as one of the longest serving and most influential executives in San Francisco Giants history starting as Director of Marketing in 1976 and ending as president of Giants Enterprises LLC. He has been credited as a creative force behind the Giants evolution from a struggling franchise to a championship organization by creating a high-performance, team-focused culture that established a new level of quality service, pride in the uniform, and brought fun back to the fan experience. 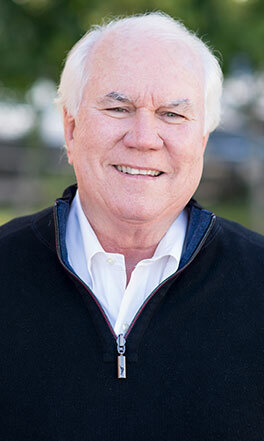 Gallagher has served on numerous community service boards in the Bay Area, including chairman of San Francisco Travel (formerly San Francisco Convention and Visitors Bureau), co-founder of the Bay Area’s college football bowl game and is a sought after speaker to colleges and business groups around the country.